Gold finishes can add a glamorous touch to any home. If you’re interested in learning how to decorate using subtle and elegant gold accents, you’ve come to the right place. Metallics can be easily incorporated into your décor as long as you are aware of the ideal visual balance. 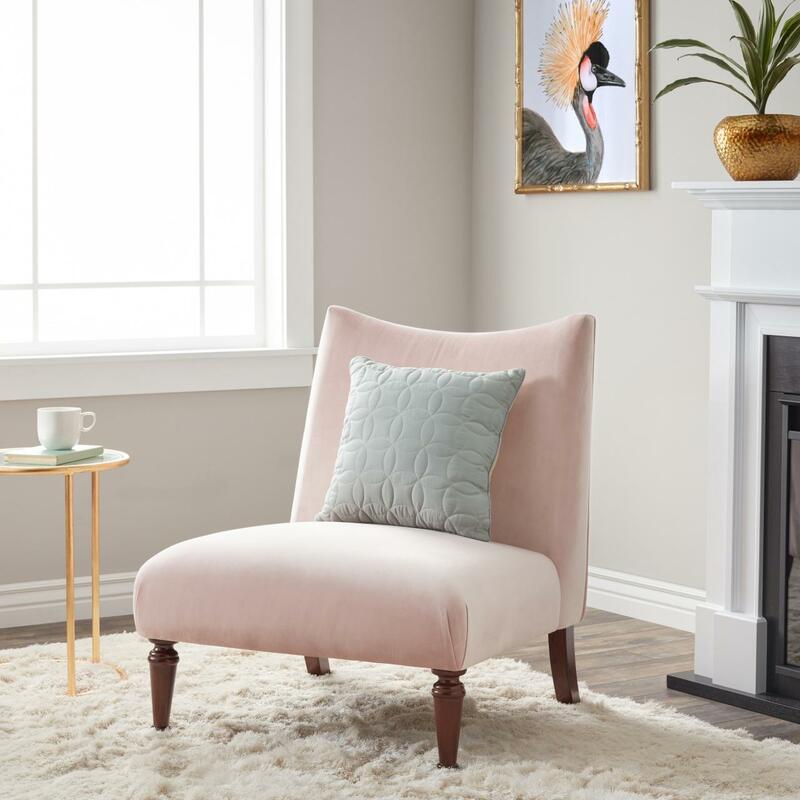 It’s tempting to add many metallic pieces in your living space, but if you want the resulting look to remain harmonious, it’s important to balance the textures. This is why it’s recommended to add some softer textures into your mix. Some good examples are velvet and wool which pair nicely with gold finishes. If you’re not sure about the exact look you’re going for, perhaps starting with smaller gold elements first represents the best solution. A few accessories here and there can give you a better perspective about the way your new living space starts to take shape. Introducing just a few smaller pieces is helpful because you can always move them around in case you decide things look too unbalanced. 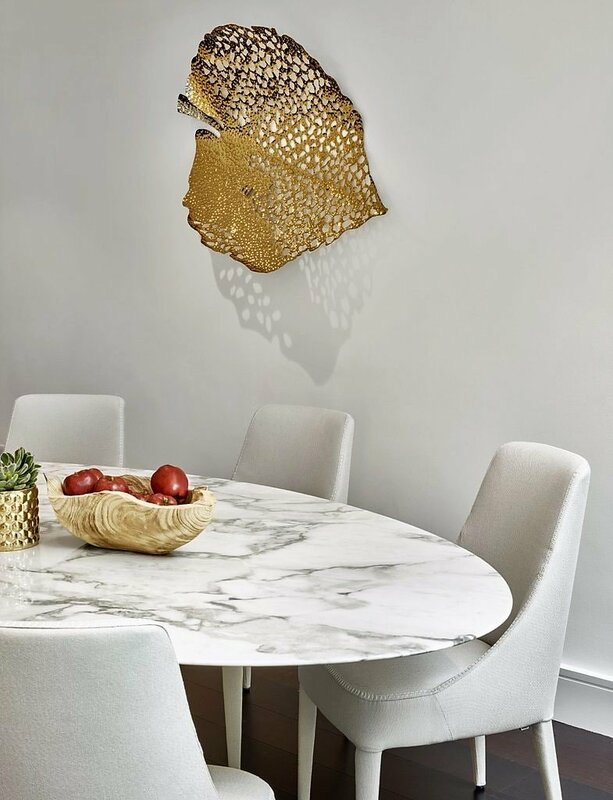 In any case, gold finishes can truly make dull spaces more exciting with their shiny touch as they reflect light. 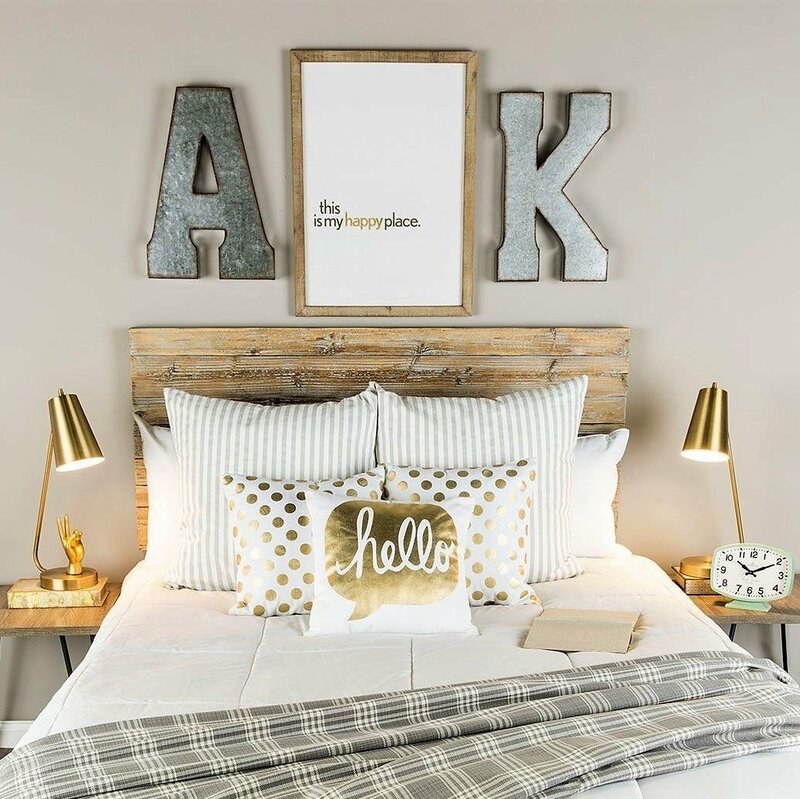 Lots of decoration projects can benefit from metallic accents. When it comes to the color scheme, the best way to add gold finishes is by paying attention to the other shades in the room. Brass accents work best with darker colors while chrome finishes fit better with gray and white. As long as you keep the palette neutral you can make the gold finishes stand out and achieve the desired visual effect. The chandelier is a solid example of a metallic piece which can make a room feel more elegant and whimsical. 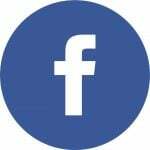 If you wish to make it less imposing in the room, it’s recommended to look for chandeliers that have more glass and rely on subtler gold accents. While most people prefer placing the chandelier in the dining room, that’s obviously not a fixed rule. For some extra glamour, try bringing the chandelier in an unexpected room. Using gold fabrics and paints represents an interesting way to make your home more glamorous. 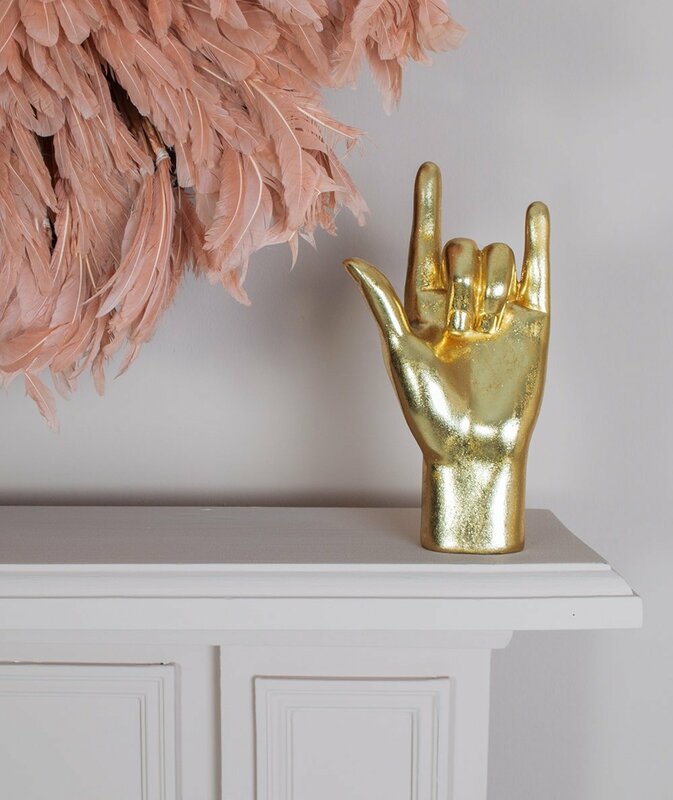 Even so, too much gold and glitz can make the room appear tacky so it’s important to not go overboard. Take some pieces like rugs, curtains, and other fabrics and replace them with accented ones. The trick is to ensure your fabrics only have hints of gold and the same is available for paints. One neutral colored wall can be painted in gold for a stylish accent that’s sure to impress your guests and add some glitz to the room. 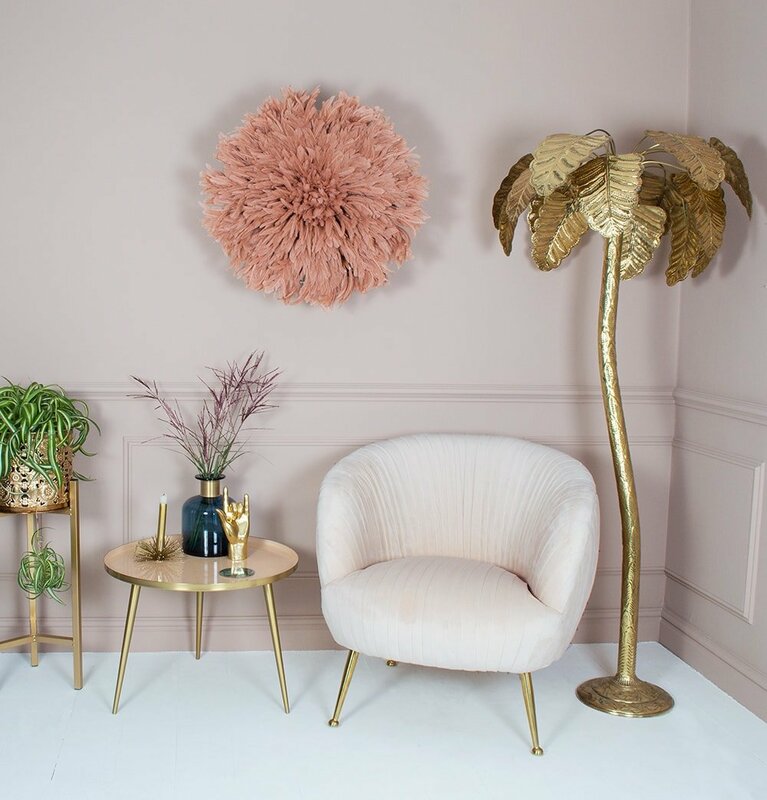 Painting an entire wall might seem to bold for some people, so in that case, you can take a smaller item such as a coffee table and put it in the spotlight with a gold finish. Speaking of tables, that’s actually an important piece in your home for making a gold statement. Glamorizing a table can have a great effect if you wish to create a solid interest point. Special dinners, in particular, can benefit from embellishing the look of the table with gold finishes. From napkins to tableware and other decorative accessories like trays and gold-rimmed bowls, the table’s potential shouldn’t be overlooked if you wish to add an excellent hint of glitz. 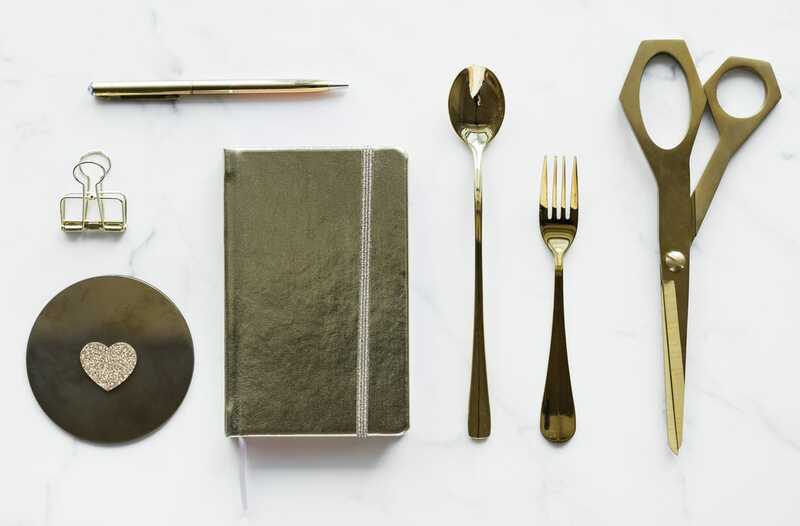 This flatware cutlery set from Amazon comes with an elegant gold coating. Making the room look sparkling and more elegant can be easily achieved with the help of the right metallic accessories. To give you some good examples, you could try glittery gold candles like these. Another option is to go for gold balls placed in a decorative vase. 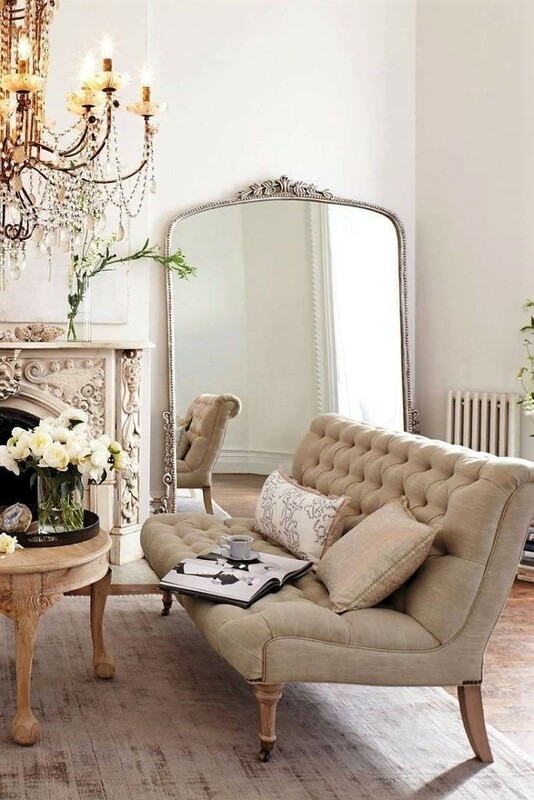 It takes only a bit of imagination and inspiration to turn your basic-looking room in a more glamorous one. Some well-placed velvet throw pillows can really enhance your sofa and it makes for a pleasant contrast. Here’s a nice set of gold pillow covers from Amazon. 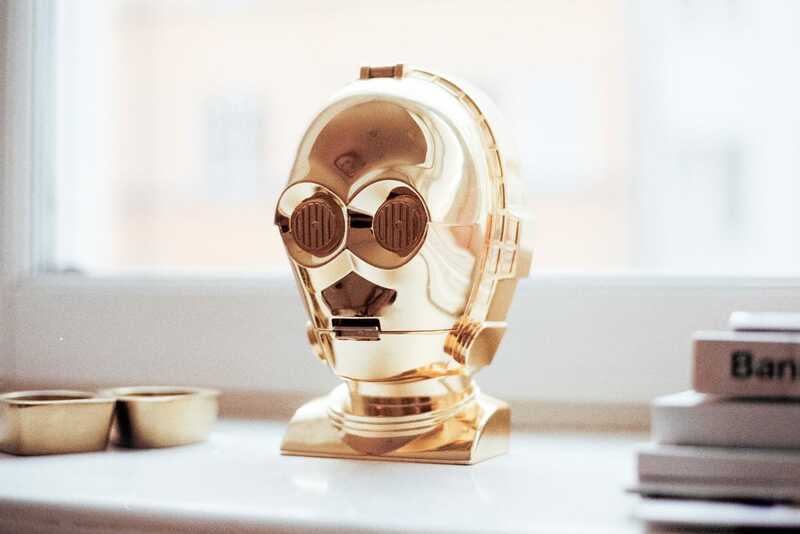 If you’re not a fan of shiny gold finishes and want something a bit darker and modern, take a look at what brass accents can do for your home. Brass hardware works nicely in the kitchen as it makes it look more formal and elegant. Through fixtures and accessories, you can add some stylish finishes with a more aged look that’s a great alternative to shiny gold accents. It still has that metallic gold look, but it’s less flashy. Gold as an accent color boasts great versatility. One area that could use some glitz is the windows one. While you can go ahead and modify the curtains by adding various glamorous touches such as another set of sheer drapes, there are also subtler ways to change the look of the windows. Just replacing the curtain hooks represents a simple yet effective method to boost the glitzy factor in the window area. If you can’t be bothered with more complicated projects, some glittery curtain rods should suffice if you wish for just a simple touch of glamour. Take a look at this elegant warm gold curtain rod from Amazon. Hallways can definitely benefit from some glitzy elements. This is one spot that can easily get overlooked when decorating with gold finishes. Some discreet metallic details can make a subtle visual impression that creates a more inviting atmosphere when receiving guests. Some gold embroidered cushions or a gilded mirror represent just a few examples of adding gold accents to the hallway. Gold is the perfect shade for making your bathroom feel cozier and more luxurious. There are various pieces you can use to add a metallic touch in the bathroom. From mirror frames to ceramic tiles, there are lots of possibilities to transform your bathroom into a more flamboyant space. The plumbing is one area that can really use some gold finishes. 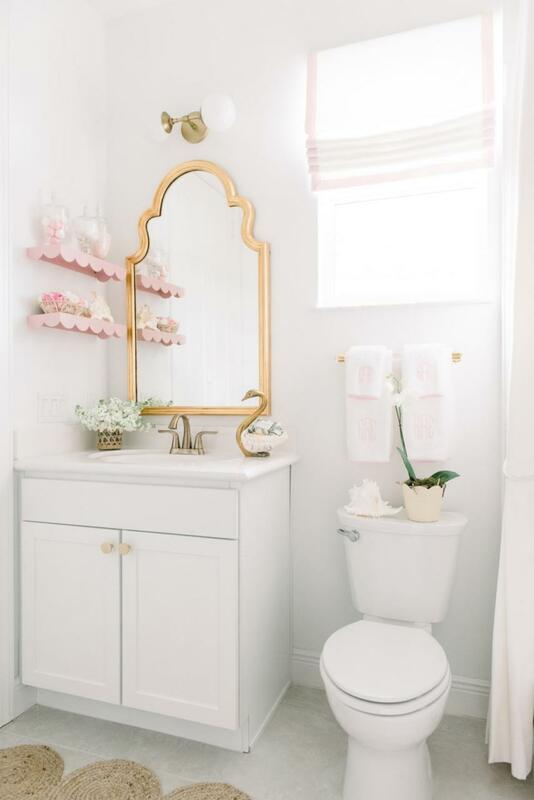 If you want to try a chic look for your bathroom you can replace your dull fixtures with gold ones that can usually pair very well with the neutral colors of the tub and sink. This decoration tip works best if your plumbing is exposed so that you can truly benefit from the glam makeover. What’s nice about this idea is how you can add some gold finishes with minimal effort and expense. 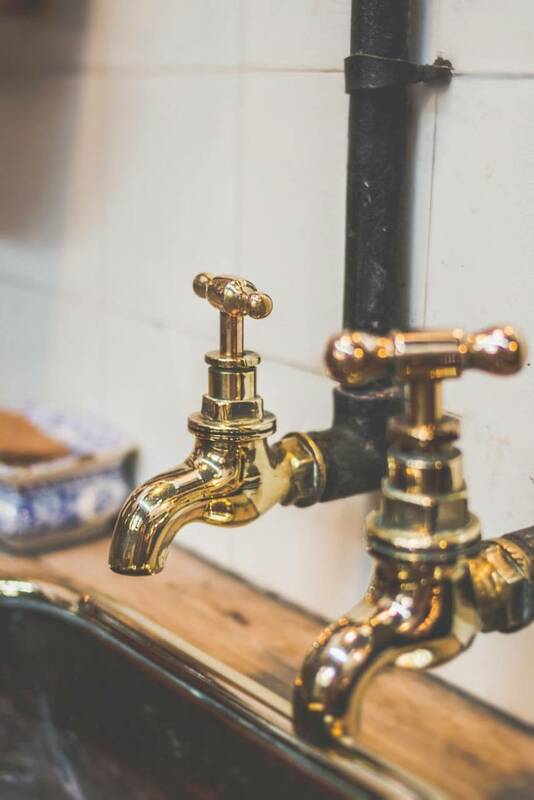 Just a spray paint for metals will do and you can start giving your old plumbing a brand new look. Make sure you go through this process in the right way by following handy DIY guides. Book lovers who want to add some style to their bookcase can add certain decorative gold elements. It’s relatively easy to bring some glitz to your favorite books. 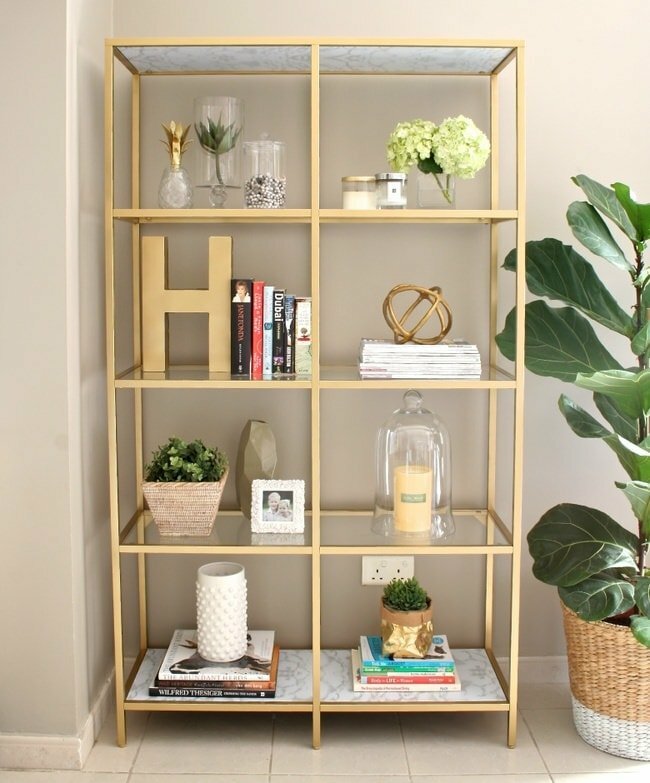 If you want to take it a step further, there’s also the option to buy a basic metal bookcase and transform it with gold spray paint. You can make it seem like it’s worth way more as long as you use the spray correctly. Simple and highly effective, changing the borders of picture frames represents a powerful way to decorate the room with some gold finishes. 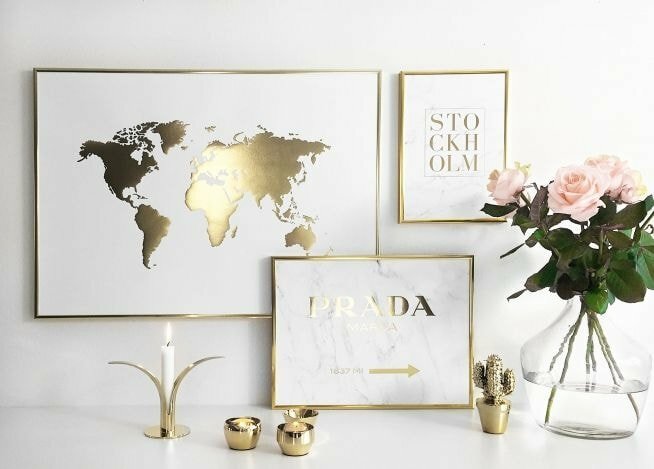 Just swap the old frames with premium-looking gold borders and your walls can become more glamorous than ever. 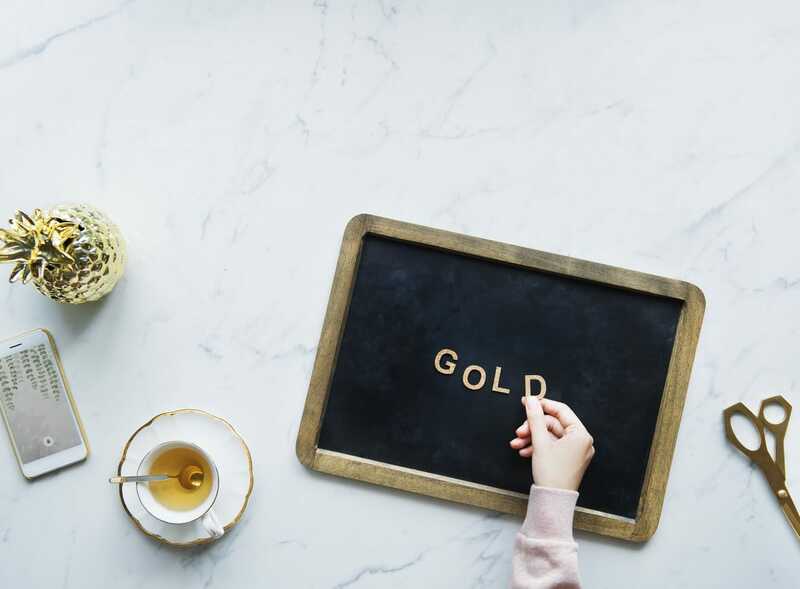 Whether we’re talking about your favorite artwork or a priceless wedding photo, the picture frame can be easily upgraded with some golden glitz. Maybe place some extra glitter if you want an even more sophisticated look. For a brilliant new look in the kitchen, you could add some metallic lighting fixtures. 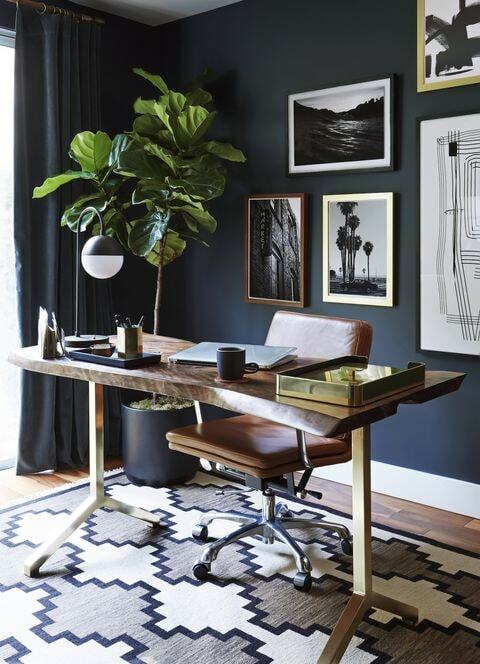 A great enhancement can be done for your bedroom or working desk if you place a golden lamp. To make simple lampshades more sparkling you can combine it with a gold base. There’s also the possibility to enjoy a golden glow by using a black lampshade with metallic lining inside like this model from Amazon. It’s important to remember not to overdo it when it comes to lamps or other lighting pieces with gold finishes. The key is to place the lighting fixtures strategically. 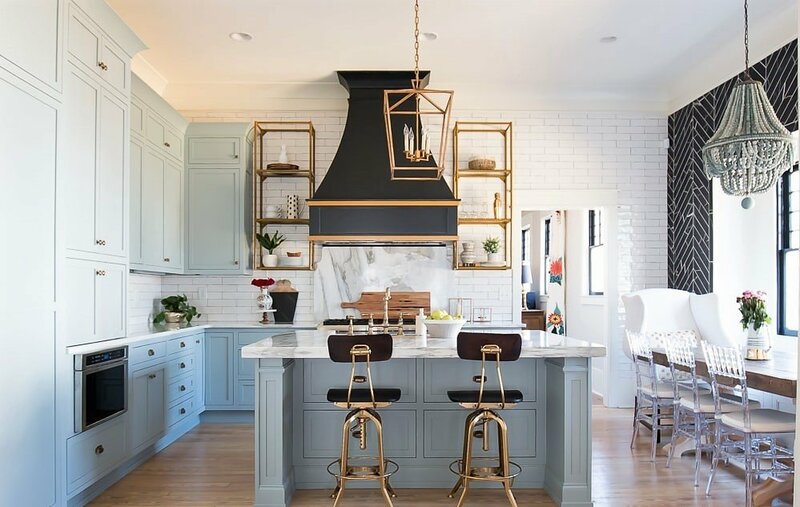 A couple of gold pendants work nicely for the kitchen as they add a sleek and subtle glamour. If you’re a fan of the industrial style, take a look at this gold pendant light from Amazon with a stylish antique brass finish. Having a bar cart around has become very common nowadays. If you want to make yours stand out from the crowd, a bit of DIY work can transform your rusty-looking cart in a stunning gold makeover. Your guests will surely like the updated look of the bar cart as it can easily remind them of a classy cart found in a sophisticated hotel. 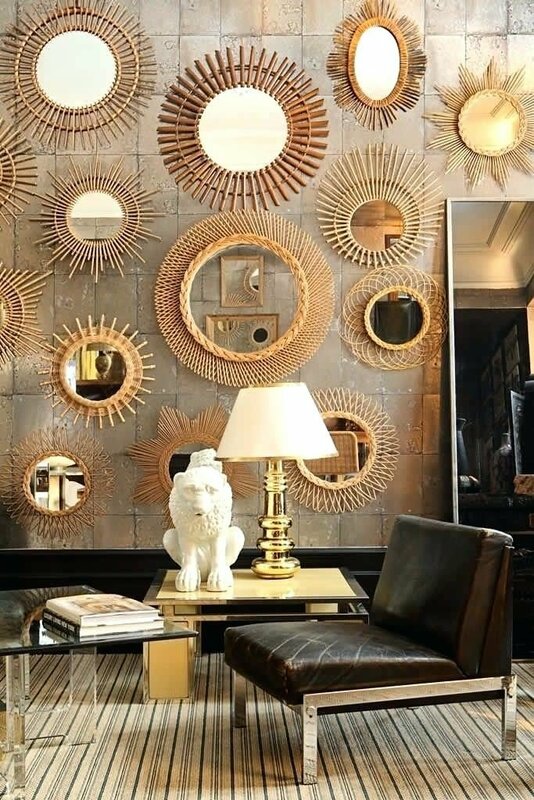 The sunburst mirror is a sure way to decorate your wall with an ideal mix of boldness and subtlety. 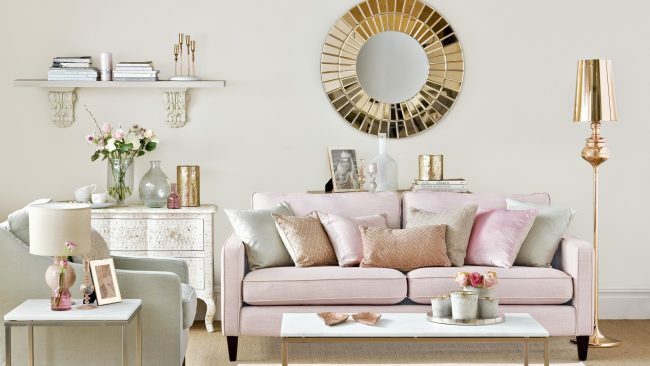 If you’re ready to add some of that mid-century glam to your home, you shouldn’t miss out on getting this kind of mirror with metallic gold finishes. While the mirror is relatively small, the sunburst design has an impressive visual effect that pairs very well with the rest of your furnishings. If you plan on changing up the look of your home bar, one quick solution if you’re bored of the usual chrome and aluminum, would be to replace your old barstools with gold ones. Finding the right barstools can be challenging, but don’t worry, just plain barstools made of metal should suffice. You can then add a shiny gold finish yourself if you’re into some DIY work. Here’s a good example of elegant barstools from Amazon.